I used to help my daughter who was just learning to do things by herself, with how to do these things correctly. And it always surprised me how she didn’t want to participate in all the fun (in my understanding) things I used to set up for her. And then I discovered this approach and it explained everything. Nowadays I don’t stress when my kids never do our projects the way I see them in my head. They always do it their way, and I learned to appreciate that way. After all, those are their projects, not mine. I just put some things together and let them get carried away. “One of the children’s activities was to decorate T-shirts with tubes of paint. My daughter was given a white T-shirt and we sat at the picnic table together. I was utterly amazed when all the parents began showing their children how they should design a T-shirt by painting it themselves. 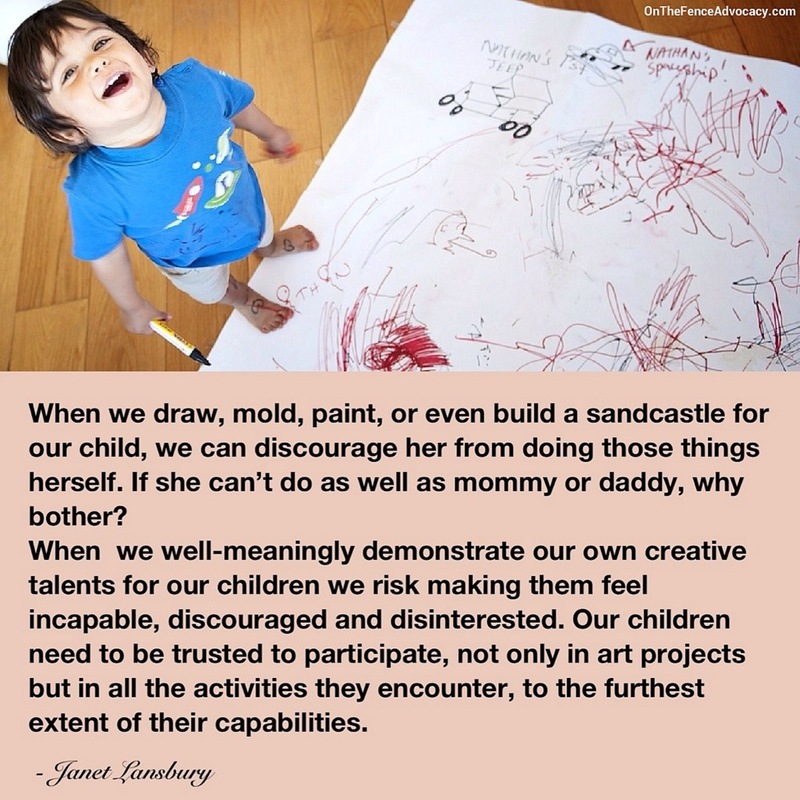 This entry was posted in What Parents Should Know and tagged Parenting. Bookmark the permalink.